Sensible, smart and oh-so-stylish ... just like you! 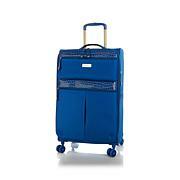 This sleek, intrepid set has everything you're looking for in luggage and so much more. Self-repairing zippers, expandable sides and spinning wheels make these the right pieces for a long haul. 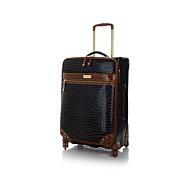 And with its timeless and sophisticated tweed exterior, this travel piece makes an incredible fashion statement. Travel looks good on you! Weight: Spinner approx. 8.2 lbs. Shoulder bag approx. 2.55 lbs. Max. Capacity: Spinner approx. 40 lbs. Shoulder bag approx. 20 lbs. 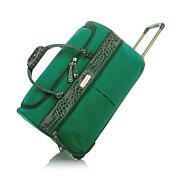 This luggage is Gorgeous! Very well made with nice details. Cant wait to use on my vacation! Also love its the right size to carry on! Love, love this set! Very well made, great detailing and durable. Nothing has been overlooked. 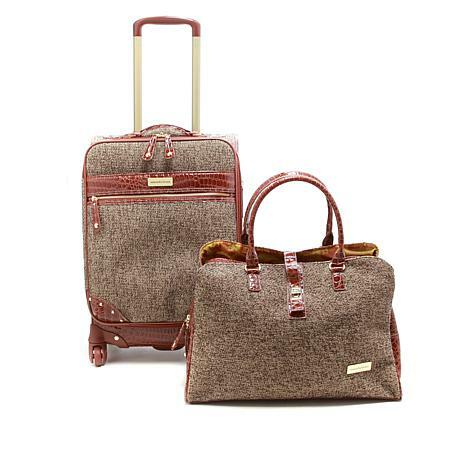 Samantha's travel experience has helped develop a great product...simple things, like a side handle to help lift suitcase overhead, where other brands omit this feature. 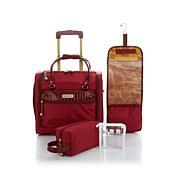 Travel in style with this set!